The Colonial Players is a not-for-profit community theater in Annapolis, Maryland. For 68 years, The Players have been providing local audiences with outstanding theatrical entertainment in our 180 seat theater in the round in downtown historic Annapolis, and providing opportunities and facilities for interested playmakers to join in all aspects of the artistic endeavor. We are seeking full-length play scripts for a theater workshop opportunity. Scripts should have an estimated play time of at least 85 minutes. While it may be only one act long, it should not be a “1-Act”, i.e. a “short” play, but rather a script that can stand alone as an evening’s entertainment. The Colonial Players will host the winning playwright for readings, design discussions, creative conversations and audience feedback on the script. The winner will receive a prize of $1,000 and a script workshop weekend in summer 2017. The workshop will culminate in a rehearsed public reading of the script at our theater in Annapolis, Maryland. 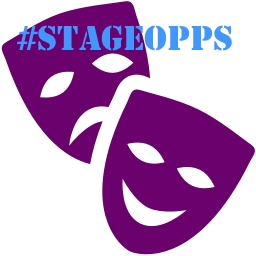 The application deadline has been extended to January 6th for #StageOpps subscribers. Don't forget to email specialoppscode@gmail.com to get the special code for this month's Special Opportunity! Eligibility: Any work that has not received a commercial production in New York City may be submitted by writers, with or without industry representation. As long as you feel your script is “production-ready” and prepared for a public developmental run in the Festival, you’re welcome to submit it! Categories: NYMF isn’t looking for any particular aesthetic. We want to represent the breadth of contemporary musical theatre in all of its forms, from romantic comedies inspired by the Golden Age of Musicals to rock opera epics, to edgy hip-hop satires, to children’s shows, and everything in between. Chameleon Theatre Company is a Philadelphia-based company producing theatre from a woman’s perspective, especially plays dealing with issues such as gender, sexuality, feminism, ageism and violence. We tell stories from underrepresented social and political perspectives and about lesser-known female historical figures whose achievements deserve a wider audience. Chameleon performs new work and Philadelphia premieres and pursues production opportunities nationally and internationally. Eligibility: Written by women from woman's perspective. Production Dates: Performances run March 10-April 2, 2017, at Tacoma Little Theatre, in Tacoma, WA. Production Dates: Rehearsals begin in November, in Portland, OR. Performances run December 8-16, in Portland, OR. Eligibility: Responsibilities include: three weeks of rehearsal, including tech and dress; production meetings (Skype is fine); and being on a community discussion panel with actors and playwright to take place the week of performances. 59E59 Theaters is committed to creating a diverse and inclusive environment and is proud to be an equal opportunity employer. Applicants from populations underrepresented in the theater field are strongly encouraged to apply. Eligibility: An innovative thinker and a brave visionary who is financially knowledgeable. A demonstrable success record as an accomplished theater artist, with experience in a diverse repertoire. Minimum education Bachelor Degree or equivalent combination of education and experience. Graduate Degree is a plus. Minimum of eight years of significant professional artistic experience and responsibility as an artistic director, programmer, freelance director, producer, literary manager, or another artistic leadership role. Experience in theater management in environments of comparable scope and scale. Experience supervising and mentoring staff through feedback, coaching and professional development. Eligible to work in the United States. Eligibility: Fine Arts and Video/Film. These must be the primary category of the project. The Fine Arts category includes a broad range of creative endeavors such as painting, drawing, weaving, crafts, collage and sculpture. Photograph and digital media projects should not be submitted since they will be considered in 2018. We will not consider Fine Arts/artwork proposals intended to supplement a theater or music work since those are disciplines we fund in even years. Proposals for radio based projects may be submitted under the Video/Film category. Projects in other disciplines will not be considered.